Think of the last time you successfully changed a behavior. How many times did you contemplate changing? How many times did you revert back to old behaviors? Did it take a great deal of support to change? I bet it did. When people begin the journey of change there is a period of ambivalence. This is generally accepted with behavioral changes outside of addiction. We know how difficult it is to keep resolutions and commitments to yourself. Sometimes we forget addiction isn’t any different. How can people lose everything and still continue to destroy lives and relationships just for the substance? There are several reasons this happens. A few are related to unresolved ambivalence which is completely normal. Consideration of change impacts the steps necessary for change to happen. Another reason addiction is so devastating relates to the brain. Addiction changes the biochemistry of the brain and there are strategies and medications to help repair this. It is not that simple to put the substance down for most. It takes a change plan, support, education, and strategy as well as the lingering hope that things will be worth it in the end. Let's take Denial out of the equation. There’s no such thing as denial, it’s just feedback. 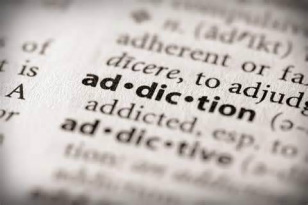 There are many options and steps in exploring and treating addiction. However, no specific model is right for everyone. Treating mental health and substance use disorders simultaneously is extremely important in overcoming obstacles. People see reality TV shows “confronting” denial. This confrontation usually leads to defensiveness and I believe there are gentler and kinder ways to manage addictive disorders. Change generally comes from a partnership between families, a therapist, physician, and the person suffering.